Do you write with a pen name? If so, what is it? I have written most of my books under my own name, but have one self-published book under the pen name Elizabeth Charles. In which country were you born, and which one do you live now? I was born in Canada and have lived here all my life. Which genres do you write in? I have written historical romance, inspirational romance, otherworld fantasy and historical fiction. Over thirty. Four were released in the past year – Confessions of a Courtesan, The Captain`s Christmas Family, His Compromised Countess and The Baron’s Governess Bride. Which was your first published novel? Which is your most current published novel? The Baron’s Governess Bride, published by Love Inspired Historical in June 2012. What’s the working title of the next book you plan to publish? Do you read hard cover, paper books, ebooks or audio? Or a mixture? Paperbacks and ebooks for pleasure reading. Hardbacks for research reading. If you could be a character from a book (not one you’ve written), which would you choose? That’s a tough choice! 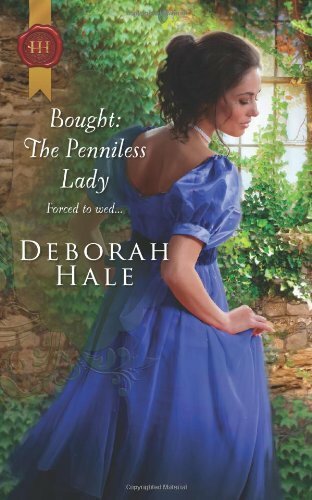 Probably Lady Artemis Dearing Northmore from Bought: The Penniless Lady. She lives in the North of England and is married to a man who looks and sounds a great deal like Richard Armitage. What is the first 300 words in you latest novel (ending with a period)? Most governesses heading off to meet for the first time with a prospective employer would have made every effort to look their best. But Grace Ellerby did quite the opposite. In her tiny room at Reading’s George Inn, Grace retrieved a small, cracked mirror from her trunk, to check that not a wisp of golden hair peeped out from under her cap. With long lappets down each side, it was the type of cap worn by older women who had entirely given up hope of finding husbands. Grace approved the way it narrowed her face, making her features appear flatter and plainer. Its starched whiteness conspired with the dingy drab green of her high-necked dress to drain all the color from her complexion. Once she put on the tiny spectacles to obscure her eyes, she would be prepared to meet Lord Steadwell. From outside, the bells of a nearby church tolled the half hour. She must be on her way. Grace tucked the mirror away and donned her dark bonnet and shawl. Then she slipped out of her room and made her way to the Old Castle Coffeehouse, where she had been directed to meet the gentleman. The entire process was most irregular, in Grace’s experience. Most families seeking a governess simply inquired among their acquaintances until someone recommended a suitable candidate. When they were obliged to place a notice in the newspapers, the hiring would all be managed through an exchange of correspondence. Grace had never heard of a prospective governess being summoned for an interview, especially such a long distance with funds supplied for her travelling expenses. That irregularity had worked to her advantage, Grace reminded herself as she picked her way through the streets of Reading, her gaze modestly downcast yet alert for any potential threat. Who is your favourite character in this most recently book? Probably the heroine, Grace Ellerby, who has found her beauty a burden rather than a blessing. g) Do they have children? How many? No, but she had three young pupils. Biggest dream you hope to accomplish before kicking the bucket: I’ve done it – getting a book published. My next one is taking a long trip to the UK. If you’re an author with a published book and would like to be interviewed, visit this post to learn how to submit your information. View the schedule here . Thanks, Laura. I read Deborah’s “Wizard’s Ward” on my trip to Newfoundland a few years ago. It was quite fitting since the character travelled over rough terrain and visited new places. That’s when I learnt how enjoyable it was to read on the road. The book was easily tucked in my backpack that went everywhere with me. You sound like a fun woman. And I think our writing may have some overlap. 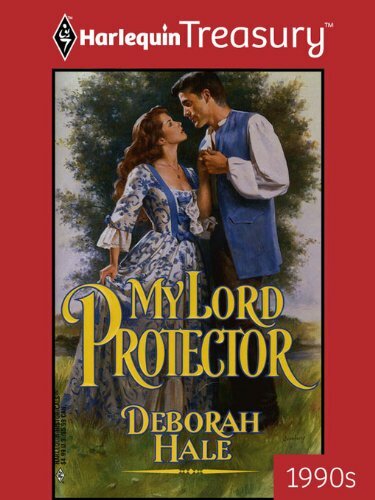 I am impressed by the amount of work you have had published Deborah. You are indeed an inspiration to all of us struggling writers. Your most recent book sounds very intriguing. Thanks for visiting, Darlene. Building a library of our own books certainly takes time, but if we keep writing, it will happen. I met Deborah when I was first starting my writing career (around 2000). She was an inspriration to me then and continues to inspire me with her determination to succeed. Thank you, Deborah, for being my guess on my blog.